Christmas in paradise is really like those Corona commercials you see on TV. Picture yourself relaxing in a lounge chair on the beach, cold beer in hand, watching the babes walk by and the waves rooollll in one after another. You would see people walking back and forth between you and the breaking waves, even on Christmas Day. Why? Because that is how it is down here. 87 degrees year round. We are planning to make this year’s Christmas on South Padre Island even better than last year’s with more opportunities for local businesses to get involved with creating the “Christmas Spirit.” This year should prove better than ever. 87 degrees. Warm and breezy. That is how it is here practically year-round. Need I say more? Editor’s note: This is the first installment in a series designed to expose rare gems of the area so that the discriminating guest can get the complete experience of this tropical paradise. 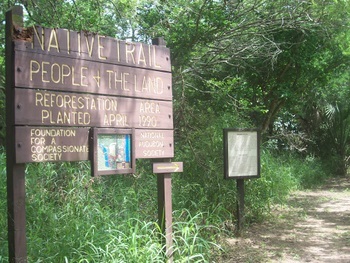 We begin our journey at the Sabal Palm Grove in nearby Brownsville, TX. 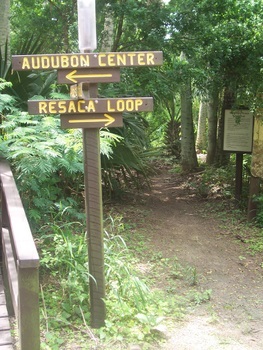 The Sabal Palm Audubon Center and Sanctuary is one of the most hidden gems in Brownsville, Texas, a city approx. 25 miles from South Padre Island. Here, long winding paths lead down into the cool depths of age-old forests of yesteryear that take you back in time before any of this area was populated by man. 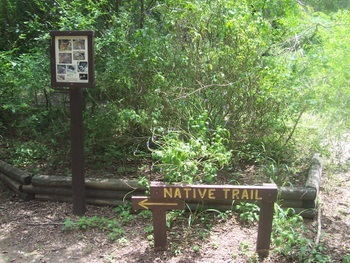 This is such a pristine area that no visit to South Texas is complete without coming here. Birding and nature lovers can spend all day catching rare peeks at species they will find nowhere else in the United States but in this tropical paradise. Your trip here is bound to be educational. 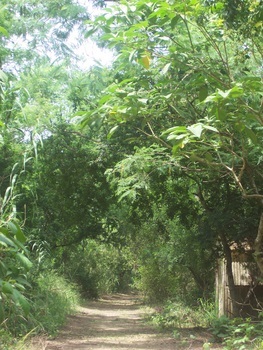 This haven is nestled in a bend of the Rio Grande River along the US/Mexico border. Sabal Palms once grew profusely along the edge of the Rio Grande for about 80 miles upstream but today, only a small portion of that forest remains, protected by 557 acres of this Audubon Sanctuary. 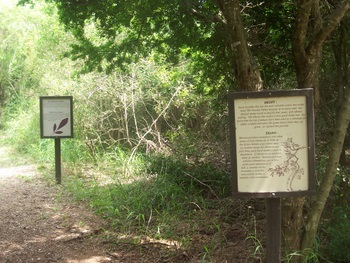 You can take a self-guided tour along the nature trails or take a guided tour with one of the helpful and knowledgeable staff. Taking a tour at your own pace is a nice option. At the wildlife viewing areas, you may catch a glimpse of migrating warblers, green jays, olive sparrows, long-billed thrashers and buff-bellied hummingbirds. jaguarundis, or an ocelot as you quietly explore the wilderness. 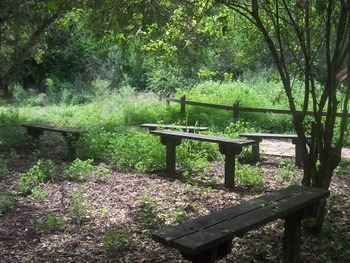 There are many places to sit, rest and wait for a rare glimpse of wildlife in its natural environment. No matter which way you choose each step you take leads you on an incredible journey.You can even learn interesting facts about indigenous trees that you never thought would be interesting but are. The long bridges can be used to view all kinds of wildlife in the water or in the air. Take Hwy 48 towards Brownsville. Where Hwy 48 intersects with Southmost, take a left onto Southmost Road (FM 1419). Keep going for 6 miles until you see the entry signs on the right. A new project is underway that is going to breathe summer life into the “slow” season on South Padre Island. A collaborative effort between this writer and the South Padre Network is going to stir up excitement about coming to SPI for the winter and for next summer. I am going to get my tech skills honed meaning that will allow me to produce more and more interesting feature articles with graphics. Focusing on bringing more people to the island will result in a better environment for us all. I think of all the knowledge that our Winter Texans will be bringing and it excites me. Padre Princesses will get off to a wonderful start and now things are rocking and rolling for my main job on the island. I love my boss and he loves me. He allows me a lot of freedoms but he needs me. He needs someone honest who he can depend on. A pair of employees we had who were honest moved on to greener pastures and it hurt my boss very much. I will always be here for him though because he has taught me so much, loved me and my family so much and even threw me the best birthday party of my life last year. God is great and has done great things for him. . After tomorrow, I will focus back on the island, my lovely paradise, back on drawing people’s interest there and bringing them here. Tomorrow will be an awesome day filled with travel, prayer, bonding and God. I can’t wait! Winter Texan Site Coming Soon! A very dear friend of mine is going to collaborate with me on the development of his site, www.southpadreskycam.com. This is where I plan to have my features and articles showcased. This will still be a place to come for inspiration, encouragement and hope. I am doing the best that I can to write about this beautiful area and attract more winter visitors but if I could centralize my work here and then have people come to it, it would be better for all involved. My friend is going to enlighten me with the technical aspect of it soon so that those looking for a place to go will have a taste of what it is like down here in the Rio Grande Valley. I will be shown how to put pictures into my work as well so that readers can see how incredibly beautiful it is down here. This is a great blog and will be a source for all to use to get the inside info on this balmy tropical paradise. This would be a great place for people in Florida and other generally “tourist” areas to come to to help them decide that this area of South Texas is the place to be. Now that it has been a week since Hurricane Ike has come and gone, I am grateful that it bypassed us but sad that it did cause so much destruction to people in Galveston, Texas. It was as scary as Katrina in that people had to find out whether family and friends survived or not. That area of Texas will now be dealing with hurricane-related things as we, Louisiana and Florida residents did this year as well. I hope many Florida residents choose to become Winter Texans and come visit our neck of the woods. It is gorgeous, warm, virtually no crime compared to other places and the people are genuinely friendly and helpful here. Dealing with FEMA and having your claim rejected, being without power for weeks at a time, having lost all or most of your possessions are things that many people in these storms’ wakes now have in common. One popular thread in the forum I like to go to was even about “Things You Learned From Dolly.” I learned to clean EVERYTHING out from the fridge before you leave because you WILL lose power and you WILL come back to a stinky mess of a freezer and/or fridge. I learned to get the phone number of a neighbor who can tell you the status of your house while you are gone. Now, in the aftermath of Ike, there is not much people can do but wait for their FEMA claim denial letter and work with that. Good luck. South Padre Island was spared Ike’s wrath and the beaches are open, business ready and waiting for visitors and fishing is good. Black and red drum trips are soon going to be offered by the local fisherman. You are currently browsing the Todo Padre blog archives for September, 2008.